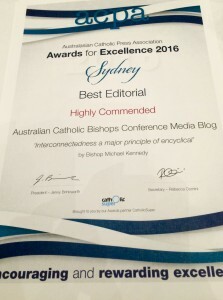 This Australian Catholic Bishops Conference, Media Blog, was also highly commended in the ‘Best Editorial’ category for an opinion-editorial, ‘Interconnectedness a major principle of encyclical’, written by Bishop Michael Kennedy following the publication of Pope Francis’ encyclical on the environment, Laudato Si’. The Southern Cross newspaper, published by the Archdiocese of Adelaide, was awarded the 2016 Bishop Philip Kennedy Memorial Award for Overall Excellence. The Australasian Catholic Press Association Awards for Excellence 2016 were presented on Tuesday 6 September, by Sydney Auxiliary Bishop Tony Randazzo at the organisation’s annual dinner at Mary MacKillop Place, North Sydney. The award for best magazine was won by Broken Bay News and best online publication was Eureka Street. 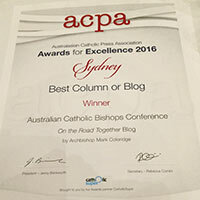 The aim of the ACPA Awards is to encourage and reward excellence in the field of Catholic publishing and the media. The awards are announced each year during the annual ACPA conference which was held this year at Rydges Sydney Central under the theme of Channels of Mercy. For the first time, the conference included the launch of the Australian Catholic Social Justice Statement, A Place at the Table, Social Justice in an Ageing Society. 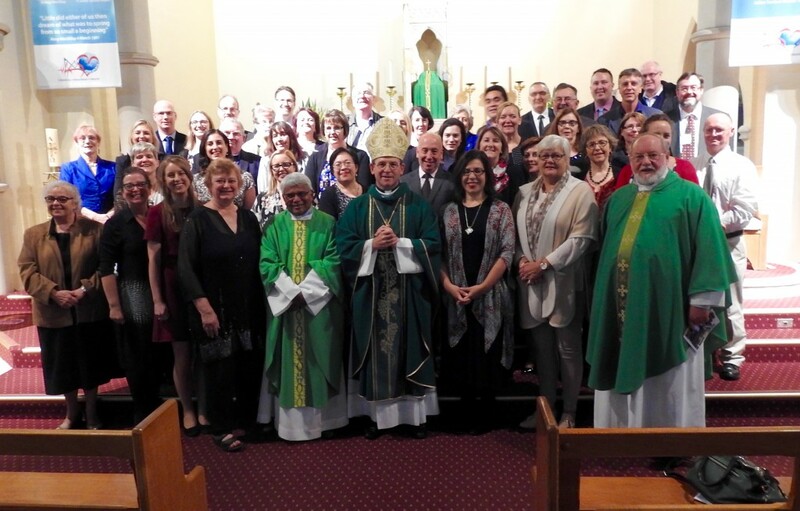 Delegates gathered at the ACPA conference Mass at Mary MacKillop Chapel, North Sydney. Guest speaker at the awards dinner was actor and author William McInnes who congratulated all the award winners and spoke about people of grace and moments of mercy in his life.